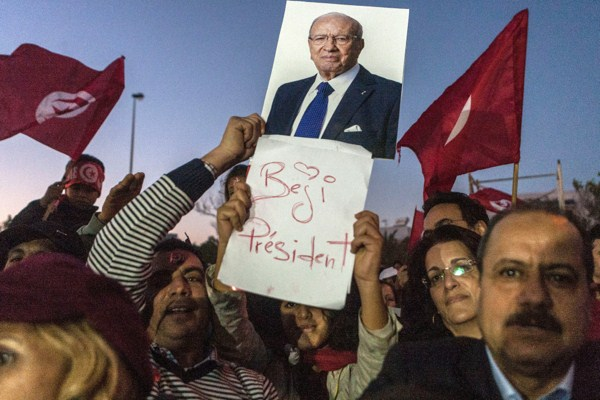 Supporters of Beji Caid Essebsi hold his portrait outside his party headquarters after he was elected Tunisian President, Dec. 22, 2014 in Tunis, Tunisia (AP photo by Ilyess Osmane). Editor’s Note: This is the second of a two-part briefing on Tunisia’s elections. Part I looked at the state of democratic transition with the rise of the Nedaa Tunis party. Part II focuses on economic issues and whether Tunisia’s progress is sustainable.